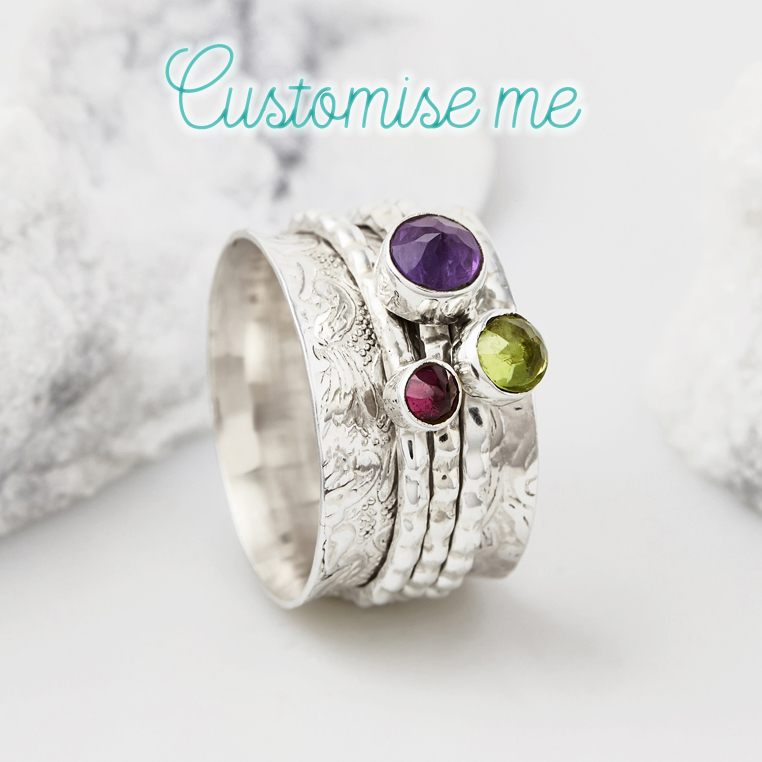 Any of our gemstone rings can be customised for you, to make a truly special, one off item just for you. 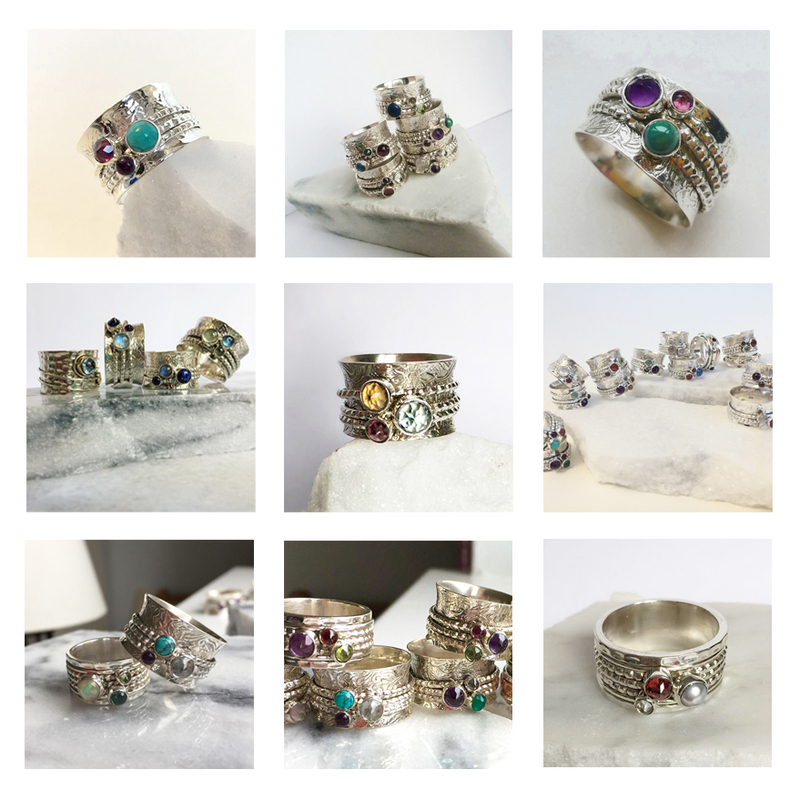 Choose your birthstone, favourite gemstone, or colour... capture your imagination... We generally work with semi-precious stones (see list below). All our products are handmade by artisans in India, so may take up to eight weeks to arrive (depending on other incoming orders). You can also choose from all the stones on the chart on the right of the page. If you don't see the gemstone you'd like please contact us and we'll see if we can source it for you. 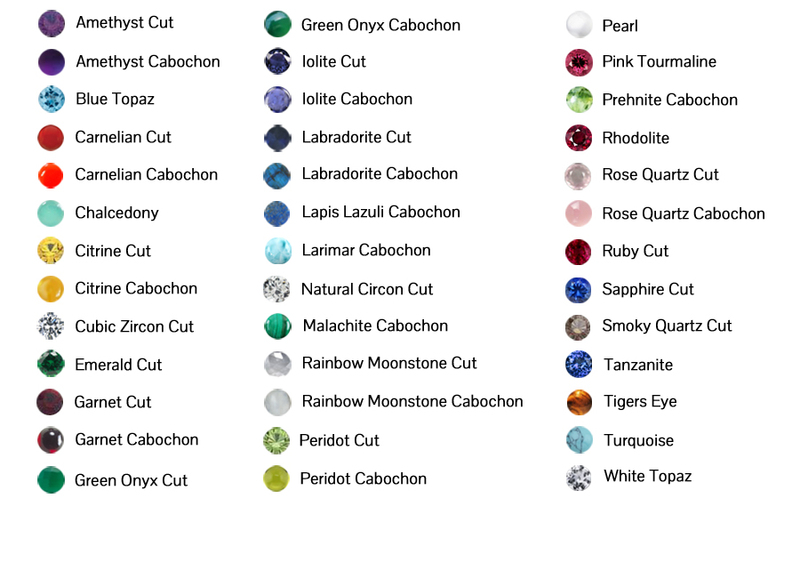 CABOCHON STONES - These are rounded, usually domed on the top. 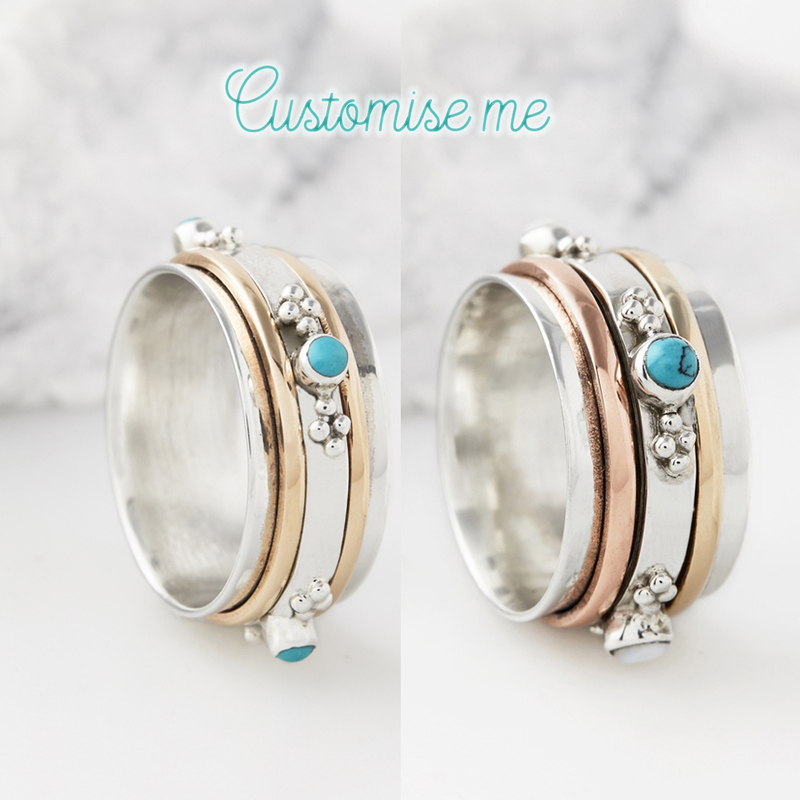 To order, we'll need to know which style ring you'd like, which stones you'd like, if you'd like cut or cabochon, and your ring size.